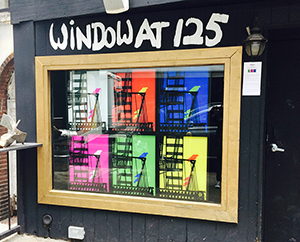 "EAST SIDE STORY: variations on a theme"
The Roger Smith Hotel Presents in their Premiere Art Window, "The Window At 125" (125 East 47th Street in NYC) Three Dimensional Lenticular Art Exhibit By Robert Munn And Sara Cook Begins April 1 through April 18, 2014. 3-D Artists Robert Munn and Sara Cook create works in the Lenticular medium. In this exhibit, Munn and Cook explore the range of mood, feeling and repetition generated by shifting color combinations applied to a lenticular three dimensional glimpse of the urban landscape, assembled as multi-image array. On Thursday, on April 17th, at the Roger Smith Hotel Neke Carson will host an Art Event for Robert Munn & Sara Cook of the Depthography Group. 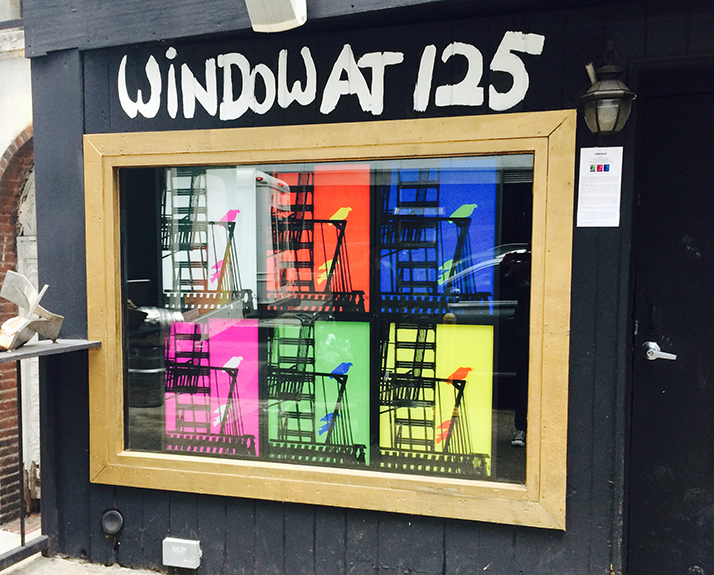 At this event, the artists will discuss their New 3D Art Exhibit "East Side Story: variations on a theme" currently on display in the "Window at 125". Art Event Starts at 6:30 pm. We hope you can join us. Robert Anthony Munn has been involved with stereo photographic imaging since 1978 & lenticular imaging since 1984. He has produced innovative & unusual works in standard 35mm stereo formats (StereoRealist, View Master, wide-format 3-d, experimental three dimensional films, light sculpture, Hyperstereo, etc.) Mr. Munn's stereo photography was utilized for a series of viewmaster reels created for the Intrepid Sea Air & Space Museum. He opened the World's first gallery devoted to Lenticular imaging, The Virtual Image Gallery, in 1992 and has continued to create innovative works in the field to this day. Sara Cook is a Technology Pioneer & Artist from NYC who strives in many mediums including her pioneering 2D into 3D, 3D photography, Multi-Media Performances, Belly Dance, Choreography & Music. A second generation native New Yorker with a history of artistic endeavors in Manhattan. A visual artist who specialized in the art of 3D & Animating Lenticular & Anaglyph Imaging. She continues to create new works of art, her work with Depthography is seen internationally, & she has s a 3D Photo Blog on Facebook with Robert Munn. Please RSVP... We hope to see you there.